A panel including the artist Richard Wentworth, art collector and patron Robert Hiscox and Yorkshire Sculpture Park's Director of Programmes Clare Lilley, have been debating who should fund public art and what its role should be. The question of who should fund public art was raised at a Frieze VIP event in central London yesterday (15 October). 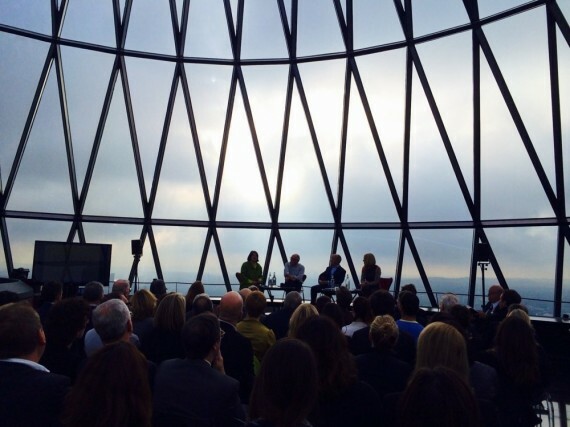 Taking place at the Gherkin building, the debate examined the role that businesses and private individuals can or should play in deciding what public art is commissioned for our streets. Chaired by Sarah Crompton, arts editor at the Daily Telegraph, the panel included artist Richard Wentworth, Clare Lilley, Director of Programmes at Yorkshire Sculpture Park and curator of Frieze Sculpture Park, and art collector and patron Robert Hiscox. The panel focused on examples of public art in the UK, including the current Sculpture in the City exhibition across London, plus examples from the Bloomberg Commission in New York. Who pays and does it matter? Whether a sculpture is liked or loathed by locals is closely linked to one thing: who paid for the artwork in the first place. So, if it is financed from the public purse, should there be a responsibility on the artist to please as many people as possible? Unsurprisingly, the panel had different opinions on this. Lilley suggested she had experienced numerous examples of concept designs receiving only a lukewarm response, only for the final piece of work to be praised, and vice versa. Public art for private elite? In a world where public funds are contracting rapidly and the current government are placing greater emphasis on philanthropic and private funding of the arts, is there a risk of our streets being littered with horrific artworks designed to suit the tastes of a rich elite?